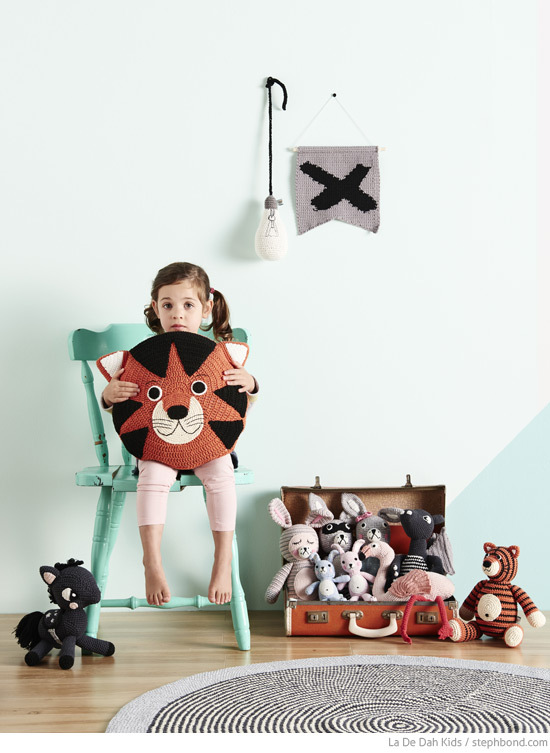 Geelong-based la de dah kids continues to deliver with a brand new collection of beautiful crocheted products that the kids will love for their rooms. Rugs, storage baskets, wall hangings, garlands, cushions, toys, and cotton blankets and beanbags are all covered in a range of pastel + monochrome colours with a little orange and metallic thrown in! The flamingo toy is one of my favourites, as well as the iconic unicorn from last season and her cute new horse cousin. And a fantastic dragon toy! You can find la de dah kids products in the online store as well as stockists across Australia including Incy Interiors and more.